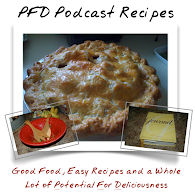 PFD Podcast: PFD Ep 13: Wears Helmut? PFD Ep 13: Wears Helmut? Heidi and Julie discuss the new "venture" their husbands are engaged in...no it is not beer but something else entirely. All this and more on episode 13. Visit wearshelmut.com to learn more.